Developer : CAPCOM CO., LTD.
Unite the chaotic ancient Japan. 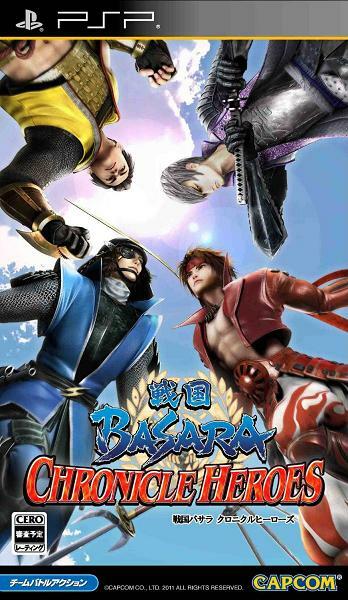 Sengoku Basara Chronicle Heroes brings the 2 on 2 battles and all the famous scenes from the previous six installments back to the system. The new fighter also comes with new characters, improved mechanics and game modes. Become a lord in the "Unite the Land Mode". You have to fight the warriors from the neighboring land to proceed. For every enemy general you defeat, you can take their land and be exposed to even more unconquered lands. Air battles are enabled in the game, so combo your enemies from the skies. The difficulty settings are readjusted so novice warriors can work their way up the scale at their own pace.